Communities supported include Kununurra and Wyndham. Michele has extensive experience in program development, management, strategy planning as well as a real commitment to creating positive change within communities. She has worked with two of the lead organisations in the East Kimberley, Wunan and Gelganyem, and now proudly takes on the role as Regional Director with Jawun to continue her focus on creating positive social and economic change in the region through partnerships and collaboration. 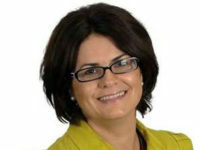 Michele has held a range of strategic positions in the Kimberley such as Chair of Regional Development Australia – Kimberley, 7 years as a Shire Councillor including 3 years as Shire President for the Shire of Wyndham East Kimberley, Board member for the Kimberley Development Commission, Kimberley Training Institute and was previously the vice chair of the East Kimberley Chamber of Commerce.